Ebola may be grabbing all the headlines and stirring up lots of fear, but the virus that presents the biggest threat to America's workers and businesses is far less exotic: It's the flu. "The impact on business can be anything but mild" from a widespread flu outbreak, according to John Challenger, chief executive of the global outplacement firm Challenger, Gray & Christmas. The Centers for Disease Control says seasonal flu outbreaks cost the nation $10.4 billion on average in direct costs such as hospitalizations and outpatient visits. Challenger, citing government statistics, says the indirect costs, such as the lost worker productivity, can cost the economy about $7 billion a year. Employees are likely to lose 111 million work days, and for those without paid sick leave, that means lost wages. 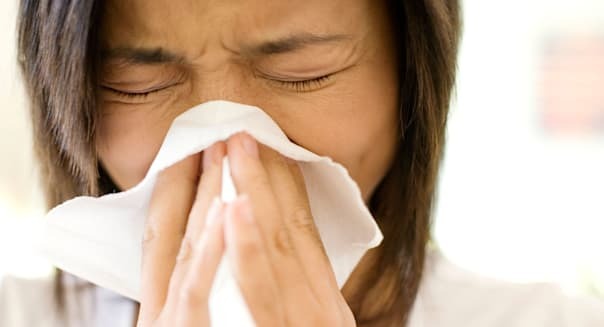 The height of the flu season usually runs from December through February, but outbreaks can begin as early as October. Workers and employers can help limit the spread of the virus, but Challenger warns that most employers react too late, after an outbreak is underway. The CDC recommends a flu vaccine each year for everyone 6 months of age or older, and the Affordable Care Act makes it free under most health plans. Experts recommend some simple prevention measures, such as frequently washing hands, disinfecting of work surfaces and replacing meetings with conference calls. Challenger also recommends the employers encourage sick workers stay home to avoid spreading the disease and tell them that they can do so without risk. "Employers have to create an environment that says when you're sick, you should stay home. You're not putting your job at risk." "It's only good business to plan for the issues your workforce is likely to face and take steps to deal with those issues," he said. "There are lots of issues that go into what makes people happy in their job in terms of environment, and this is becoming a big issue in people's mind. Does the company have a germ-free environment?" He says a company the promotes wellness, including steps to prevent the spread of the flu, sends a message to employees that it cares about their health and well-being.